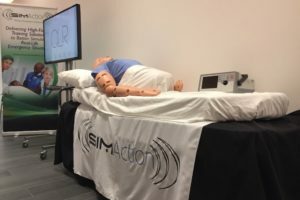 Today we take a look at 9 Key Questions on Simulation-Based Learning, addressed and answered by Healthcare Learning Innovation’s Executive Director of Learning Innovation, Trevor Rasmusson. Here, Trevor provides us an insider’s perspective on content, coding and effective teaching for today’s students. 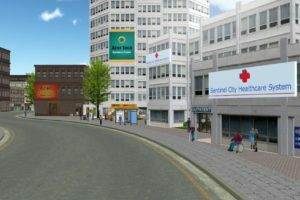 Healthcare Learning Innovations, a division of American Sentinel University, was founded based on the recognition that virtual clinical simulations and online nursing scenarios could supplement what’s learned in classrooms, simulation labs, and “real-world” clinical training. 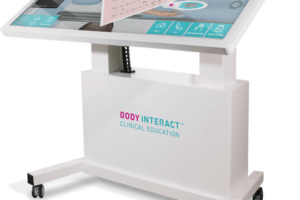 Learn more about them in person this weekend by visiting Booth #703 at IMSH 2019 in San Antonio! 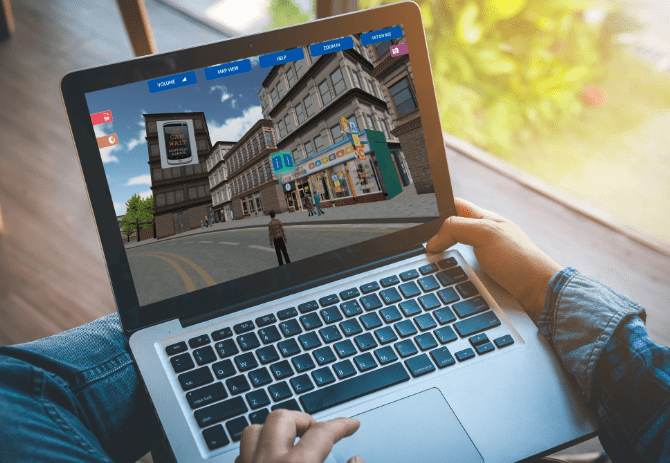 It’s easy to get caught up in the graphics and interactive features of online simulations and forget about all the work that goes into bringing concepts and code to life online. When that happens, Trevor Rasmusson, Healthcare Learning Innovation’s Executive Director of Learning Innovation, has done his job well. 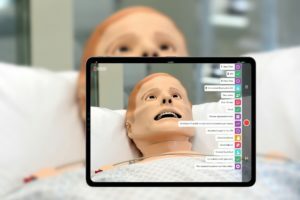 As someone who leads the team’s virtual clinical nursing simulation and scenario development, Trevor has a unique perspective on simulation-based learning that we thought would be interesting to share. So, recently the HLI team sat down with Trevor to get his thoughts on virtual simulations, what students today are looking for in their online educational experience and what’s involved with building Healthcare Learning Innovation’s next-generation nursing simulations. Overall, what’s the state of online learning in nursing and healthcare education? Trevor: I believe there is still a stigma that online learning is sometimes viewed as “less than.” Everyone working in higher education fights that notion occasionally, and although progress has been made, the misconception persists. Fortunately, online learning is gaining acceptance in all education and training situations faster than ever before. One reason is because online programs allow learners the flexibility to work and go to school simultaneously. They also provide rural communities with higher education opportunities, since traditional brick-and-mortar universities are primarily located in higher population areas. Regarding healthcare education, now that many online nursing programs are incorporating virtual clinical scenarios and simulations into their courses, nurses are empowered to immerse themselves in applicable situations without personal safety concerns or worrying about making mistakes that harm patients. What motivates today’s students? What are they expecting in their online educational experience? T: First, there is often an expectation, yet misconception, that online programs are easier. Online courses actually can be more difficult than traditional programs. I also believe that many students go back to school because they feel like they HAVE to, rather than intrinsically “want” to. Since many students are working and going to school concurrently, the amount of time they can spend on school work is limited. So, both time and motivation are huge barriers that students need to overcome early in their programs. And I think it’s the responsibility of educators paired with instructional technology to help them meet that responsibility. I would like to think we are creating virtual clinical scenarios and simulations that help faculty by providing real-life experiences in a virtual world. That decreases the amount of time a learner (and clinical coordinators) spend arranging clinical experiences and traveling. Our products also are fun! They encourage exploration and include gaming elements, which is something today’s students want. See Virtual Clinical Simulations and Scenarios in Action by Joining HLI’s Next Webinar! Tell us about the development process at Healthcare Learning Innovations. 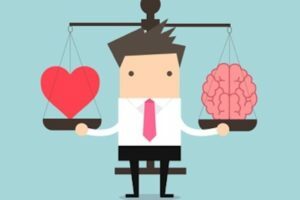 What drives feature development, content development? Is there a specific development methodology in use? We always look for an education challenge that needs to be solved before starting development. For example, years ago, we asked nursing professionals questions such as, “What are some of the skills that new nurses straight out of nursing school lack?” We received many responses that gave us ideas for future products, including our virtual clinical scenario, Prioritization of Care. Then we create a detailed Master Design Document that serves as the go-to resource for everyone on the development team: programmers, database architects, outsourced contractors, artists, project managers, etc. The most important job of this document is to describe the product as clearly as possible, ensuring the development team is working toward a goal with a single vision. What are the desired learning outcomes? What features are necessary to meet those learning outcomes? What motivational mechanics will be incorporated? When do features need to be created? What elements of the design are impacted by each feature? Our team follows a traditional project management process: Initiation, Planning, Execution, Controlling, and Evaluation. This process, which is also part of the Master Design Document, helps us to manage the project and define its scope. Keep in mind that the Master Design Document is constantly evolving. We update it as new decisions are made. We include screenshots or links to prototypes when available. Finally, elements of the document are used to support sales and marketing efforts. How do you test a new product to understand if it’s effective both in terms of the user experience and outcomes? We conduct QA to ensure our products are thoroughly tested before going to market. This is a very important part of the development process. Once the product has been QA-tested, we often do a pilot with a customer. Pilots help us gather faculty and student feedback before the product is fully released to the public. Sometimes the pilot validates design decisions, and sometimes it shows us we need to make changes to better meet desired outcomes or market demand. Finally, faculty around the country conduct product effectiveness research in their classrooms. That research has further informed our design approach and helped us build a reputation for developing high-quality virtual clinical experiences and simulations. Is there anything unique about your approach, as opposed to competitors? It’s important for us to incorporate “fun” via gamified scenarios. Our products are educational AND entertaining! A focus on immersive storytelling helps keep students engaged in the activity, while still applying educational concepts to nursing situations. Also, our relationship with American Sentinel University, our parent organization, makes us unique. We were educators before we were product developers. Every day, we work with experts who are in the nursing education trenches. They know what they need in the classroom, the obstacles they face, and what students are looking for in their educational experience. We collaborate closely with this team to determine what approaches we should take regarding product development. We see in your bio: “pedagogically sound approaches to tackling common education obstacles through a gamified digital approach.” Break that down for us. What does that mean for simulations and nurse educators? I’ve played video games for much of my life. I’ve always been inspired by how a game teaches you how to play without losing your interest in the process. Like in a video game, we design an educational scenario where the user is motivated to learn within the environment or, even better, doesn’t realize they are learning at all. 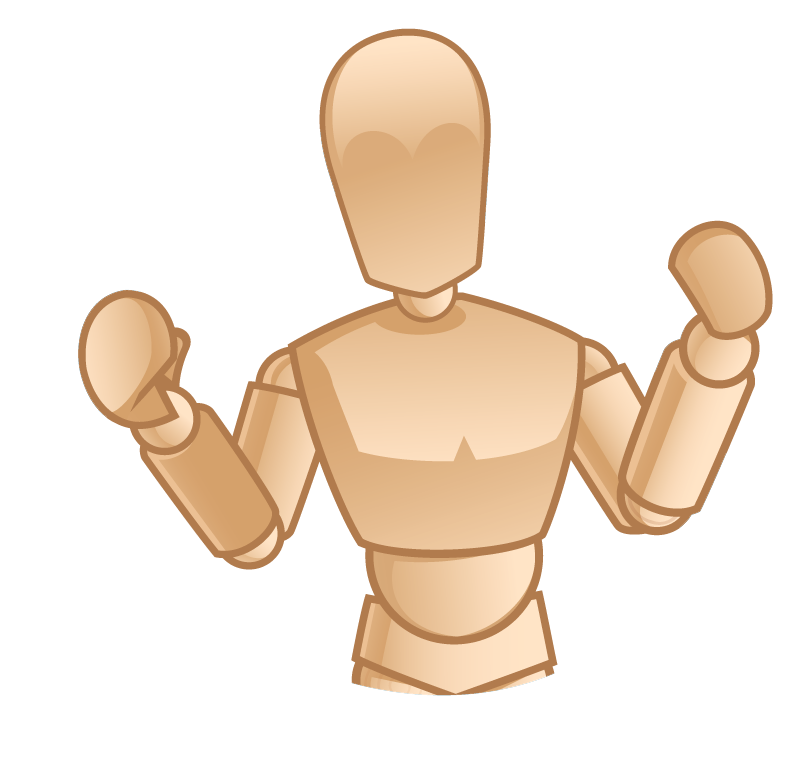 Just like academic courses, games have certain objectives they train the user to pursue and achieve.  Modern games even provide users with detailed reports about their interactions, progress, skills, and achievements. It’s quite similar to a traditional grading rubric. 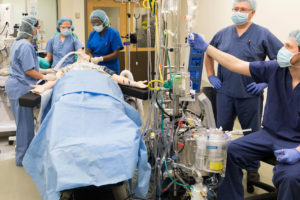 By conquering the game objectives, the user advances and eventually “wins.” The subtle delivery of learning found in modern video games has become a major inspiration in the way we approach the design of our virtual clinical scenarios and simulations. How do you see online learning fitting in with other avenues of nursing education? I believe there is an opportunity for traditional nursing programs in higher education to work more closely with hospitals and prepare nurses to effortlessly enter the workforce. We are hearing that hospitals are creating custom training for important parts of a nurse’s job which many traditional programs aren’t giving enough attention. Therefore, newly graduated nurses are underprepared for what their new jobs. Healthcare Learning Innovations works with both hospitals and higher education institutions to ensure we are creating engaging products where both nurses and nursing students can hone applicable job skills. Where do you see the future of online education going? What’s next for the technology? I’m betting you don’t want to reveal any secrets, but can you discuss what is on the horizon for Healthcare Learning Innovations in terms of new products? In the coming years, I believe educational technologies will be challenged with creating mechanics that include more motivational elements and make the experience seem more fun and less like work. This may require ed-tech developers to focus efforts on more immersion like virtual reality and better storytelling, which could include choice-based scenarios. Auto-grading and artificial intelligence could provide immediate feedback and reinforce outcomes. And I think personalized rewards and more flexibility, meaning mobile access, are on the horizon. What are your thoughts? Healthcare Learning Innovations are always listening, looking for input from hospital nurse education managers, nurse educators and students, and administrators of nursing schools involved with online learning (especially those using simulations) as part of their programs. Please get in touch with them and share your thoughts today! Learn more about Simulation-Based Learning From HLI!